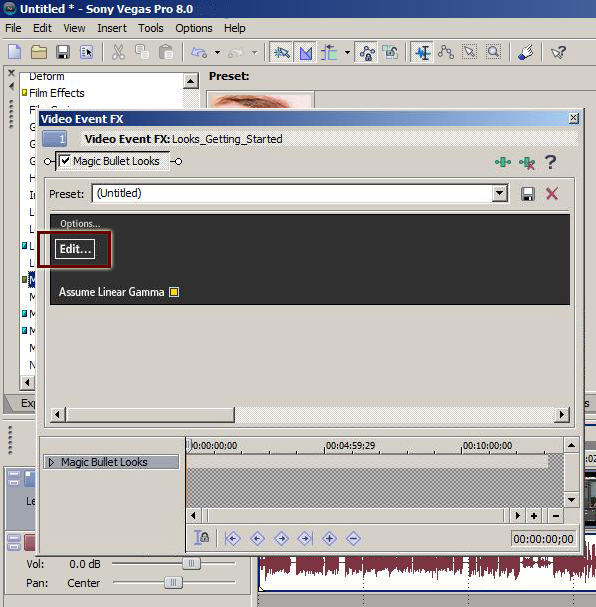 How to apply Magic Bullet Looks in Vegas Pro 8. 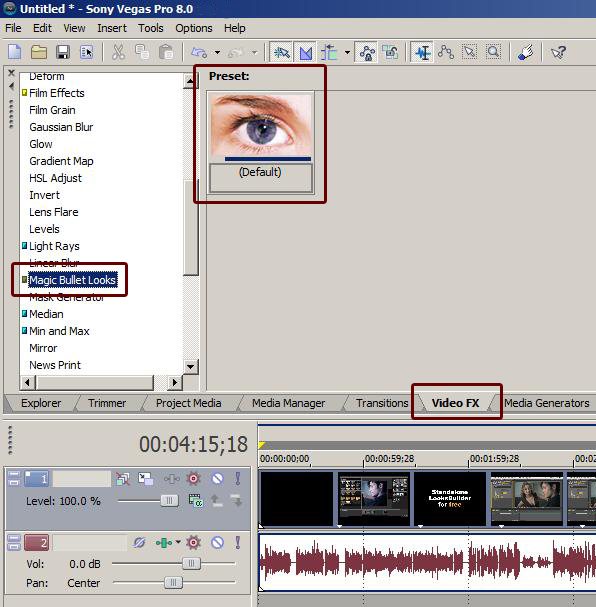 These instructions illustrate two different methods to locate and apply Magic Bullet Looks from within Sony Vegas Pro 8. 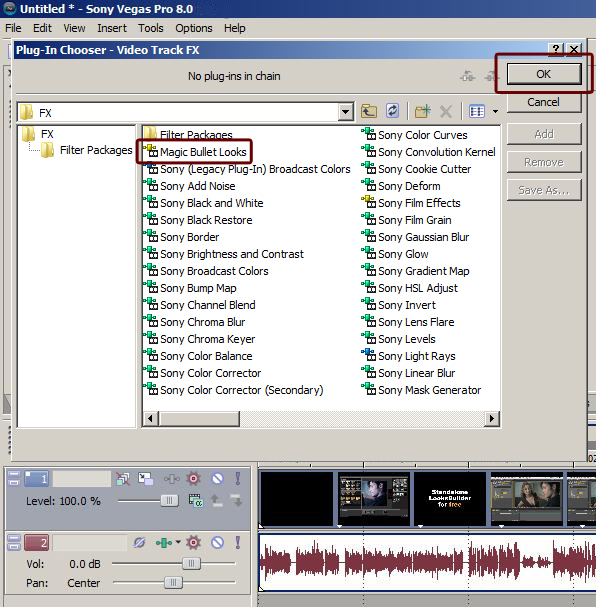 With Sony Vegas open, click on the Video FX tab. Drag and drop Magic Bullet Looks on to the desired footage in the timeline. After Magic Bullet Looks is placed on to footage, the Video Event FX box will open. Click Edit... to launch the LooksBuilder. With Vegas open, click on the Track FX… button. Once Track FX… is selected, the Plug-in Chooser box will open. Select Magic Bullet Looks and click OK.
After OK is clicked, the Video Track FX box will open.